Steve Jobs, Elon Musk, Newton and Einstein all had one thing in common: They mastered the art of harnessing their intuition to achieve missions that would change the trajectory of humanity. They took deliberate steps to answer the grand challenges of their time. However, in order to become a game-changer, it is necessary to harness the power of the intuitive mind. In one survey, 72 of 83 Nobel Laureates in science and medicine, all implicated intuition in their success. The greatest hindrance in accessing your intuition is stress. People under significant stress use just a fraction of their mental and emotional capabilities. Activating your intuition requires at a minimum – long periods of solitude. It comes with deep soul searching and spiritual reflection. It was through deep soul searching that Steve Jobs stumbled upon his intuition – which he later described as “priceless”. The power of intuition is ultimately what Jobs absorbed when he visited India in his early youth, before Apple Inc. Steve Jobs embarked on a 7 month spiritual quest to India and later encouraged several Tech titans such as Mark Zuckerberg to also visit to contemplate the future of his company. To date Larry Page (Google CEO), Founder of eBay, and others have also visited. After Steve Jobs left India, he embraced meditation and mindfulness for the rest of his life. Many high-tech offices have also employed mindfulness counselors to help keep employees focused. I wrote about the 4 Spiritual Laws of Self Renewal and the importance of setting the direction of progress by embracing a mission and vision for your life. Many great leaders are considered great because they did something almost no one else believed was possible — they literally set the direction of progress for generations to come. They didn’t focus on just having a career or a job — they had a vision and a mission. For self-renewal, it is critical to refocus and set the direction of progress in your life. A new commitment to new priorities will also help keep hope alive. Setting the direction of progress is the act of setting your goals and vision for your life. However, this isn’t about attaining position, fame and power — as the be all and end all. These goals should embody service to humanity and making the world a better place. They wrote down ideas and could illustrate visual solutions to problems in the minds eye. 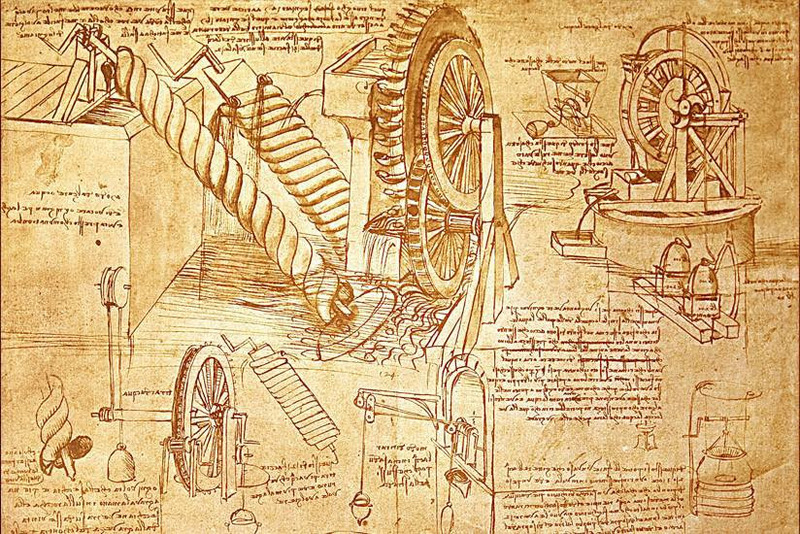 Many great intuitive thinkers kept journals and could visualize solutions to problems. 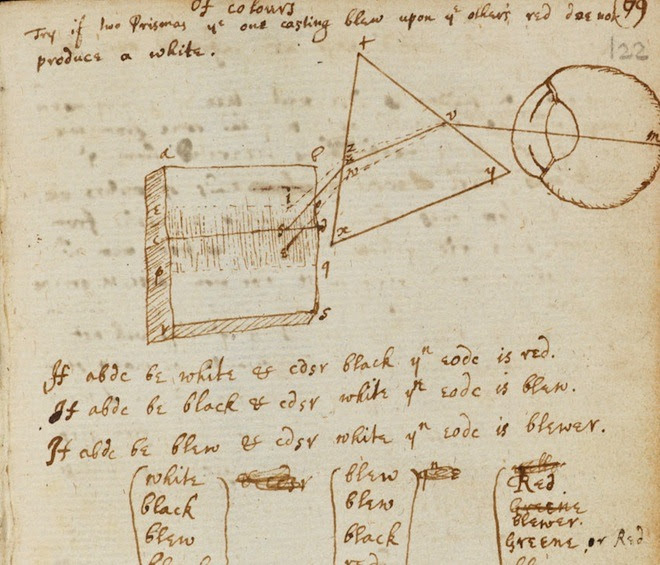 Isaac Newton had what he called a “Waste Book” where he stored any important passages from the texts he read. It inspired many of his discoveries. Journaling can strengthen our intuition by helping us keep track of insights, visuals and inspiration for ideas. 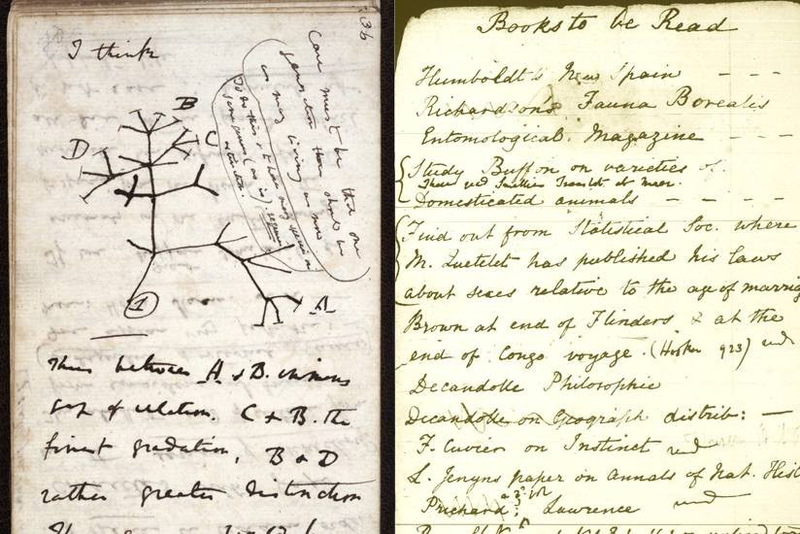 From his time aboard the HMS Beagle, a five-year expedition that helped lay the groundwork for his theory of evolution, Charles Darwin made it a habit to keep notebooks to record his thoughts and observations. 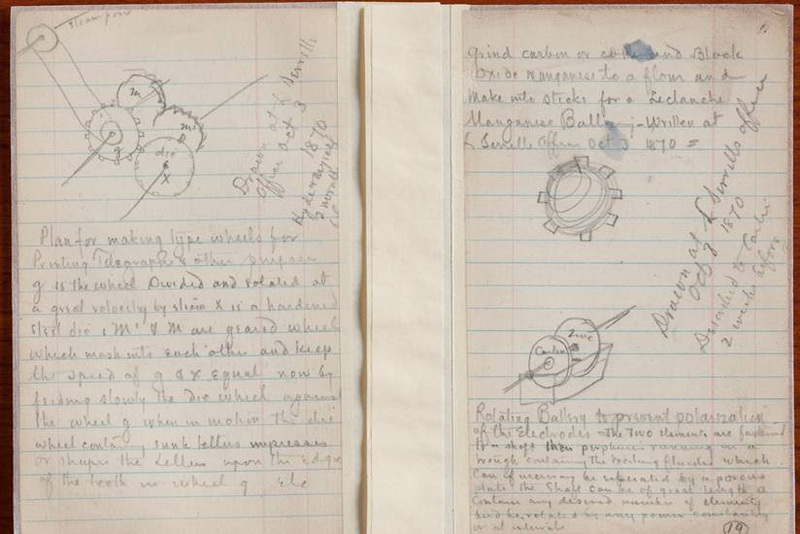 The journals, labeled simply on their covers as A, B, C, D and so forth, spanned everything from early sketches of an evolutionary tree to notes on geology, new species and personal musings on family and friends. Image: Edison and the Rise of Innovation, First Edition. There are lots of stories that describe Isaac Newton sitting under a tree when an apple suddenly falls on his head and then he has this “Aha moment”. What really happened was that he was in the orchard and witnessed an apple drop from a tree. Newton’s observation caused him to ponder why apples always fall straight to the ground (rather than sideways or upward) and helped inspired him to eventually develop his law of universal gravitation. In 1687, Newton first published this principle, which states that every body in the universe is attracted to every other body with a force that is directly proportional to the product of their masses and inversely proportional to the square of the distance between them, in his landmark work the “Principia,” which also features his three laws of motion. As mentioned above, Isaac had what he called a “Waste Book” where he stored any important passages from the texts he read. It inspired many of his discoveries. lt is said that upwards of 1,000,000 words in his handwriting still survive. “His peculiar gift was the power of holding continuously in his mind a purely mental problem until he had seen straight through it. I fancy his pre-eminence is due to his muscles of intuition being the strongest and most enduring with which a man has ever been gifted. Anyone who has ever attempted pure scientific or philosophical thought knows how one can hold a problem momentarily in one’s mind and apply all one’s powers of concentration to piercing through it, and how it will dissolve and escape and you find that what you are surveying is a blank. Keisha Blair is the co-founder of Aspire-Canada.com, a Featured Expert on YouInc.com and is now working on an upcoming memoir.